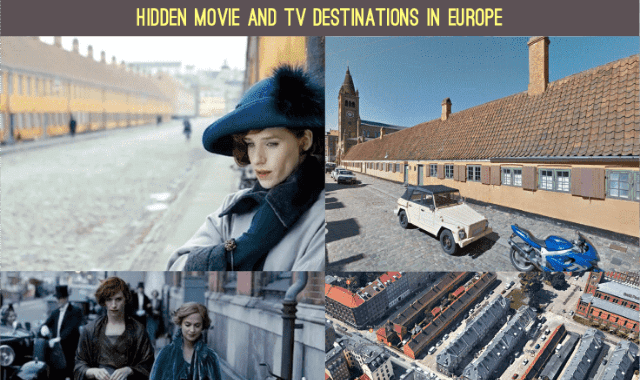 On Location: Hidden Movie and TV Destinations in Europe #Infographic ~ Visualistan '+g+"
We’ve all had experiences of coming over completely star-struck when faced with anything to do with our favourite movies and TV shows. Whether you’re a sit-com junkie, film buff or can’t get enough of that latest gritty drama, there’s just something about seeing the lead actress, the characters’ local café or iconic landmark from the opening credits in real life that can turn even the most serious fan into a blabbering, nervous wreck. That said, there’s nothing more incredible than stumbling across the setting of your go-to romantic comedy, all-time fave show or famous setting completely out of the blue, right where you’d never have expected to find it. The below infographic focuses on such locations, little-known and little-publicised destinations, backdrops and natural environments that have played important roles on both the big and small screen. What’s more, these incredible places are dotted throughout Europe, all in the vicinity of popular holiday locales, easily accessible for those looking to inject a bit of Hollywood glamour into their next trip away. From James Bond to Sherlock, The Night Manager to Harry Potter, here are the most surprisingly secret, but undeniably incredible film and TV locations in Europe, just waiting to be discovered.